A lot of our customers choose to have brick paving installed in their patio’s. On a larger house you might have a continous area which runs from the front of the house directly to the rear. Picking the option of continuing the paving from front to back makes a great option. Not only does it give a unity to the entire area, it also costs less as you can prepare the front and back of the house the exact same way. Using brick paving on your patio does not mean it will be boring. 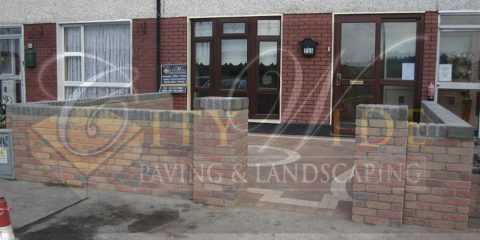 There is a variety of paving bricks that range in colour, texture, shape and style. 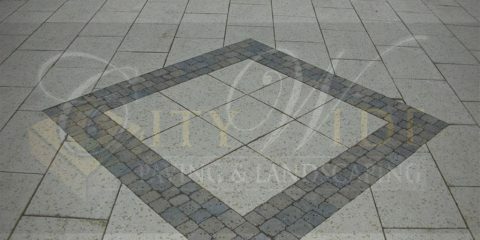 You can also choose to combine paving with the more traditional paving flags as well. 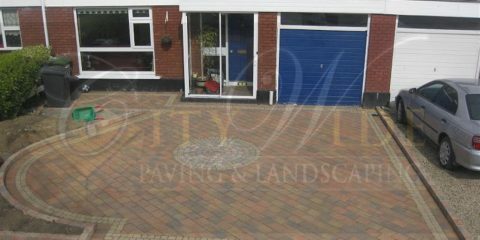 For example, you can have standard brick paving but install a paving flag circle in the middle of it. You can opt for multiple border styles including granite sets and Lismore borders. When we are called to your home, we will try to provide you with multiple options so that you can make the best choice when it comes to your patio area. More importantly, when we provide options, we are giving you different prices depending on what option you pick. We will try to help you pick the right choice for you and your pocket! If you would like to see more of our patio work, please check out the gallery page by clicking the button below. 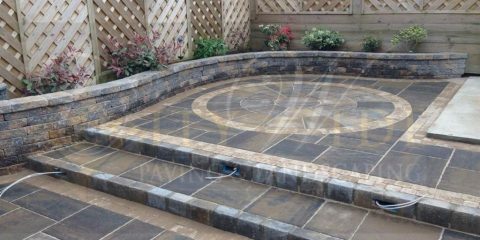 We would love to go through your patio ideas with you, so give us a call now for a free no obligation quotation on your patio.